We analyzed RNA sequencing data of 430 clinically annotated AML samples and identified HMGA2 as a new candidate prognostic marker. This marker was successfully developed and validated as an RT-qPCR test to facilitate implementation in clinical laboratories. High HMGA2 expression adds significant independent prognostic value to known clinical and genetic prognostic factors in AML, and is predictive of poor clinical outcomes with standard AML therapies (Marquis M et al, Blood Cancer J, 2018). 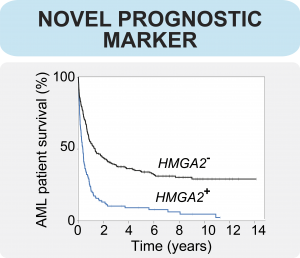 This test complements current AML tests to improve treatment orientation and can be integrated in ongoing and future prospective clinical trials studying innovative therapies to increase survival of HMGA2 positive AML patients. 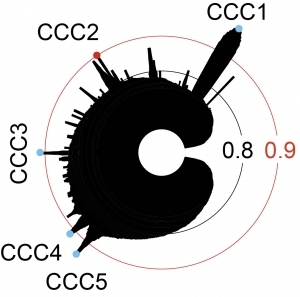 We developed a novel approach, which we named Compound Correlation Clusters (CCCs) that efficiently refines synthetic lethal interactions between small molecules active on primary human acute myeloid leukemia (AML) specimens. In single-dose experiments and under culture conditions preserving leukemia stem cell activity, our strategy considerably reduces the number of tests needed for the identification of promising compound combinations (Baccelli et al, Blood Cancer Journal, 2017). This work is the starting point for the development of novel personalized treatment strategies in AML and in particular for patients with poor prognosis. 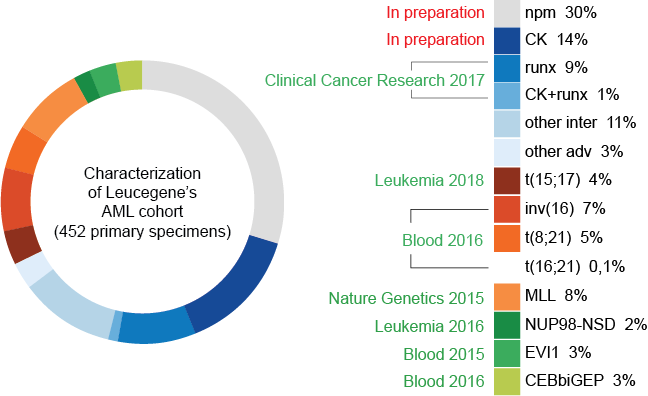 The Leucegene team has currently published complete characterizations of 85% of its AML cohort composed of 452 primary specimens. Identification of UM729, a compound that supports human leukemia stem cell activity ex vivo, thereby allowing the research team to better understand, characterize, conduct drug screens and develop novel prognostic tools.